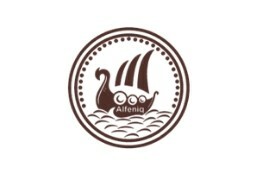 Alfeniq Lebanese Cuisine is currently closed for delivery and it will open at . Crème Sauce, Onion, Sesame Oil & Mix Seafood. Tuna, Mix Peppers, Sweet Corns, Lettuce. Rocca, Cherry Tomato, Mushroom, Italian Lemon Sauce, Parmesan Cheese. Mix Lettuce, Avocado, Sweet Corn, Cherry Tomato, Palmito, Boiled Eggs, Artichoke & White Sauce. Crabs, Lettuce, Sweet Corn, Orange & Cocktail sauce. Fried chicken wings, coriander, with garlic, lemon & olive oil dressing. Chicken liver, garlic, pomegranate molasses, with lemon & olive oil dressing. Fava Beans, tomato, with garlic,parsly, cumin, lemon & olive oil dressing.